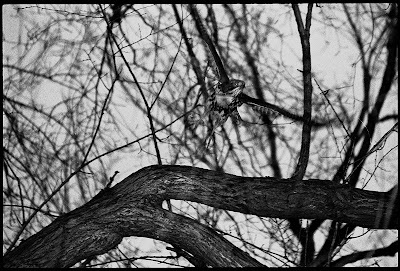 Much has been made lately of the presence of hawks , especially immature Red Tailed Hawks , in our little neighborhood parks . 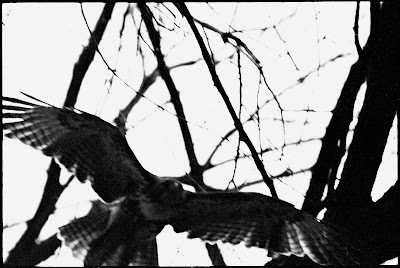 Claims are made that this presence is something new : it is not , these young hawks have been in the parks in the fall and winter for many years . 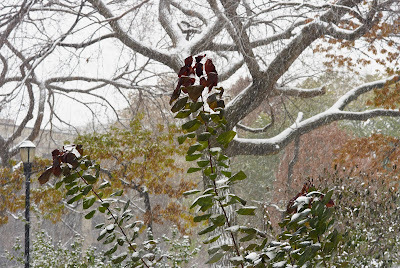 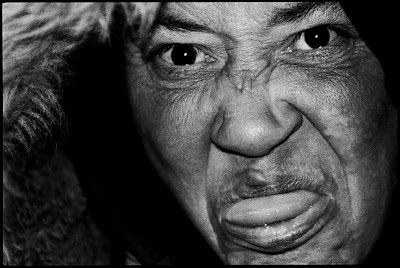 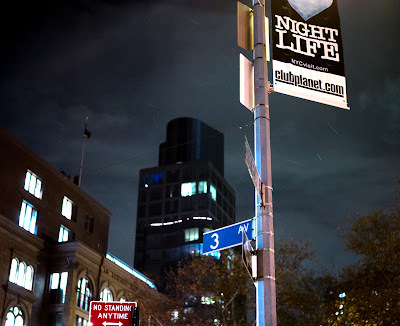 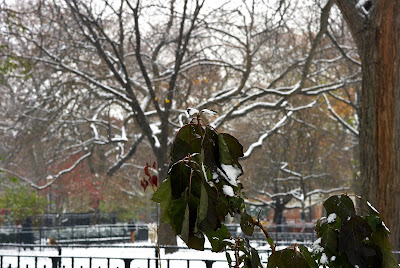 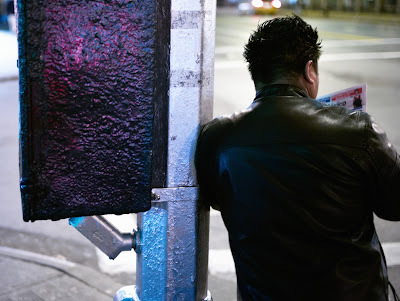 We have been watching the hawks come in the fall and go in the spring from Tompkins Square Park for at least 15 years . 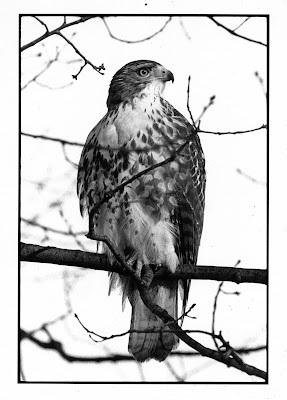 Though the total population of Red Tailed Hawks ( Buteo jamaicensis borealis ) has clearly and happily increased in number in the last few years , the number of young but fully grown 8 to 10 month-old Red Tailed Hawks in Tompkins Square Park for each fall-to-spring season has remained the same at 1 to 3 young hawks per season . 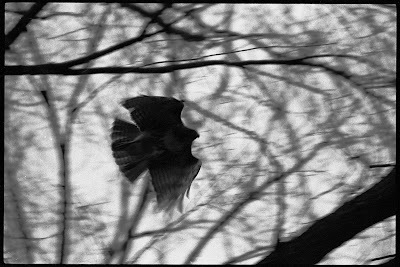 Today there are more people in the parks for longer periods of time thus the hawks are more likely to be seen by more people : more total hawk sightings . 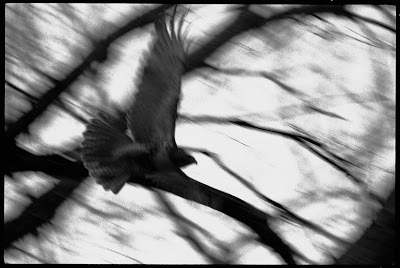 With all the automated digital cameras in their hands this larger number of park visitors also quite easily and readily produce a bumper-crop of hawk pictures . 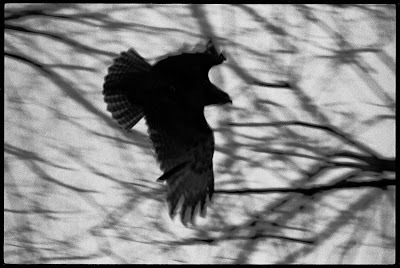 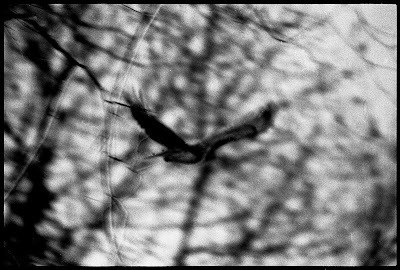 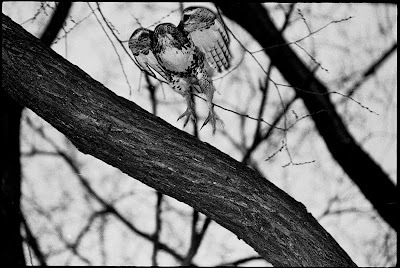 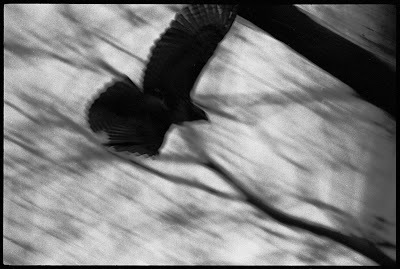 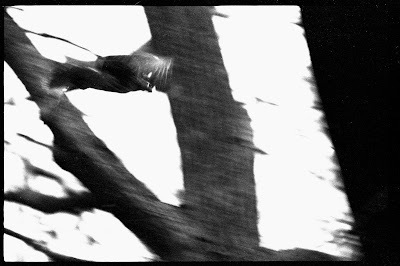 Unlike the bulk of this current wealth of hawk images the picture above is not a digital image but an image of an immature Red Tailed Hawk made with film , Kodak Tri-X , nearly 6 years ago in Tompkins Square Park .